Robert “Bob” Wilkins Douglass III was born to LT and Mrs. Robert W Douglass, Jr., at Walter Reed Army Hospital in Washington, DC. Because Bob’s father was assigned to the Panama Canal Zone, his mother took a boat to Washington, DC, so that her son would be eligible, by being born in the United States, to one day become president, if he so desired. 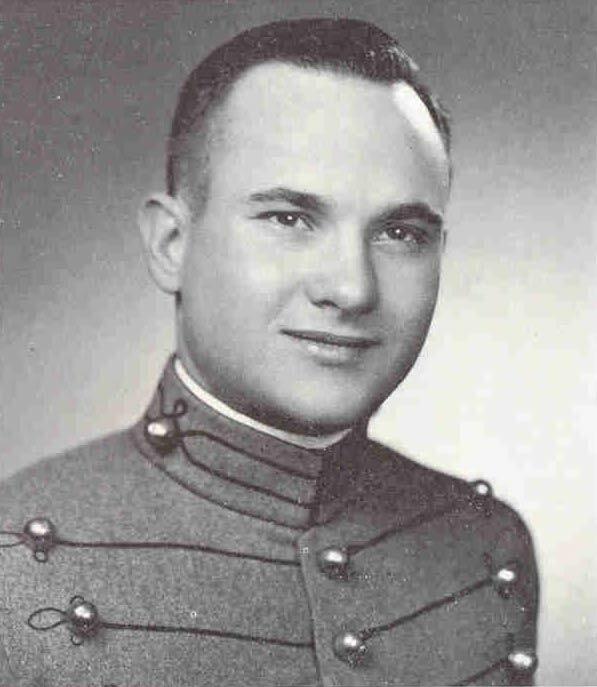 Bob attended the Florida Military Academy before receiving an appointment and entering West Point in 1946. He continued his family’s Academy tradition, both from his father's and mothers sides of the family. As a cadet, he was a member of the Portuguese and camera clubs and worked on the Howitzer. His classmates would always remember Bob as helping them with their studies. artillery battalion, assistant S-3 (operations and training) for a 280 mm gun battalion in Korea, preliminary planning for artillery problem programming, instructor at the artillery and missile school at Ft. Sill, planning movement and fire support requirements for artillery battalions, and assignment as assistant S-3 (war plans) at V Corps Artillery in Darmstadt, Germany. While in Korea, Bob coordinated with Army and Corps staffs regarding the employment of nuclear capable artillery units. He received the highest rating obtainable at Ft. Sill for performance as an instructor after he initiated and completed development of the first Corps level problem involving operations in a nuclear environment. After leaving the Army for a civilian career, Bob spent 18 months in New York, where he attended Nassau Community College, New York University, and Adelphi University to pursue a master's in mathematics. He then moved his family to Huntsville, AL, where he worked for the Boeing Company as a reliability and safety engineer on the Saturn V program, receiving the NASA Apollo Achievement Award for his achievements. Several years later, he received a master’s in education and taught science and mathematics to junior high school students. Bob was a project manager for Planning Research Corporation for Space Shuttle orbiter and Spacelab programs and received several commendations for his work. He co authored NASA TM C-64799, A Guide For Performing System Safety Analysis, published by the Marshall Space Flight Center in January 1974. Bob retired from Teledyne Brown Engineering in July 1991, where he had been in charge of all Goddard Space Flight Center programs. Bob was deeply involved in Huntsville Little Theater for more than 25 years. He did everything from hamming it up onstage to working backstage to the administration of the theater group. He played Harley Hudson in his first play, Advise and Consent, in 1968. Other plays in which he acted included: Becket, Charlie’s Aunt, How to Succeed in Business Without Really Trying; 1776, and others. His favorite role was that of the lead, Joe Benjamin, in God’s Favorite. His backstage experience included set construction, sound, electrical, stage manager, technical director, fighting, and set design for more than 20 productions. Bob explored his Scottish roots avidly. He spent years working up his genealogy and tracing it back to Scotland. He was very active in the Scottish games both in Huntsville and at Grandfather Mountain in North Carolina. He took his family on a three week "getting to our roots” trip to Scotland in August 1997, during which everyone had a marvelous time. family provides the Robert W Douglass III Memorial Hockey Scholarship to a senior hockey player every year. One highlight in Bob’s life was walking in the Long Gray Line at his 50th reunion at West Point in 2000. Even though he had already had one stroke, he walked proudly with his head held high throughout the festivities. Bob also lived to celebrate his 50th wedding anniversary, although he was very ill at the time. At his memorial service, Bob’s life was celebrated by describing his feelings about the Academy’s motto, "Duty, Honor, Country," in this way: Duty to the teachings of his alma mater; Honor to his heritage and ancestors from Scotland; and Country the United States of America, which he served with great love and devotion. His uniforms from these three loves were proudly displayed at this memorial service, in which his whole family participated. The music included "Highland Cathedral," the West Point 'Alma Mater," "The Corps," "The Lord's Prayer' recording by son Robert, "Flowers of the Forest," and 'Amazing Grace," of which several were played on the bagpipes. His favorite song, "Stars and Stripes Forever," ended the memorial service. Bob will be forever missed by his loving family and his many friends and classmates. His wife, Ginny; son Robert IV; daughter Susie; and two grandchildren survive him.